Simpson Marina recently set up its own flagship office in Sanya to establish a close relationship with its clients and yachts based in or visiting Hainan. The Simpson Marine office is situated at Sanya Serenity Marina, which will be the first world-class marina in mainland China providing a yacht club, sailing school, restaurants, hotels and shopping centre. There will be a full service yacht repair yard and most importantly, a 100-ton capacity travel lift. Simpson Marina, found by Mike Simpson in 1984 in Hong Kong, has set up its own service offices in Singapore, Malaysia, Thailand, Indonesia and Taiwan. It also the dealer of top yacht brands like (Azimut), Nautor’s Swan,(Beneteau), Lagoon and Sea Ray to provide sales and rental services. 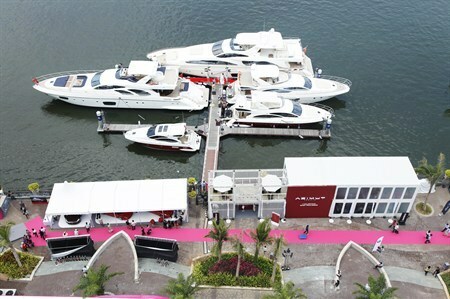 To realize its sincere and firm commitment to its Chinese owners, Simpson Marina is confirmed to participated in the Hainan Rendezvous, China’s only exhibition exclusively dedicated to business jets, large yachts, luxury cars and luxury lifestyle that is to be held in April 2012, to create a strong brand image and promote the yacht market in the South of China.